Good Morning Onward Nation…I’m Stephen Woessner. Thank you very much for taking time to be here — and — I gotta say — I am so excited about the lesson we are going to dig deep into this morning. Because we’re going to dig deep into how to specifically identify — how to get a crystal clear view of your client avatar — the people who you want to be doing business with — and through this discussion — I will remove all of the mystic dark magic voodoo — and how to give him or her a name — the questions you should be asking — and — I will share with you — the single most powerful four-letter word you can use when attempting to connect with these key people. We also going to dig into “Your Dream 50”. Who are they — why they matter to you — and once you know — what you should do with your Dream 50 list. To help cement the importance of this lesson into place — I will share a painful and very costly mistake that I made, which could have devastated or even ruined our business because I didn’t pay attention to the lessons that were right smack in front of me. It was sure one heck of a tuition payment, Onward Nation! And I structured today’s topic so that it connects — so it builds upon — the Fill Your Sales Pipeline lesson we covered together in Episode 298, where we went an inch wide and a mile deep into the step-by-step recipe my Predictive ROI team uses to generate highly qualified leads for our clients. And by the way…thank you very much for all the comments over the last couple of weeks regarding Episode 298. I tried to pack it full with practical and tactical steps because I wanted it to serve as a recipe you and your team could apply and generate leads for your sales pipeline. But remember…oftentimes…lackluster results are not caused by the absences of knowledge. Instead, lackluster results are caused by the gap in application — and that gap in application is caused by the absence of a true decision being made to accomplish the desired result outcomes. So if you — or your team — are struggling to see how the recipe I outlined in Episode 298 could apply to your business — or how to apply it — I respectfully challenge you — have you truly made a decision to apply it with great success? 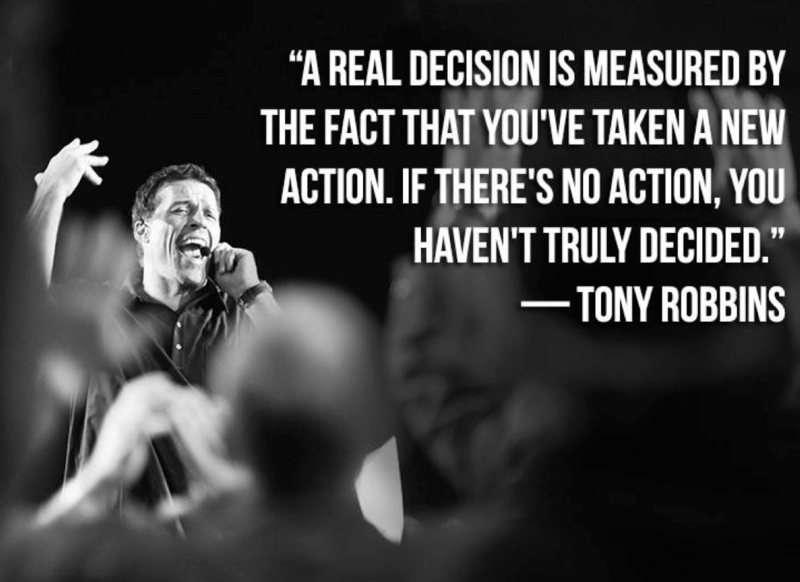 So think about in this context…if you haven’t taken action on the pipeline recipe I shared with you in Episode 298 — then according to Tony’s lesson — perhaps the reason is that you haven’t made a true decision to fill the gaping hole of leads that many owners — maybe even you — are feeling right now in their businesses. Wait a minute, what? You might be asking. Did it start to feel like I was calling you on the carpet for not getting busy in applying the pipeline? Look, sometimes we don’t apply something — even though we intend to when we first learn it. We have initial momentum — we are excited — we get to our office — and the grind of our daily schedule kick back in — our momentum for change begins to slow down — but something else more chronic happens. You may begin asking yourself a myriad of tail chasing questions regarding what you were excited to implement. Typically the questions we ask ourselves are littered in negative self-talk — causes us to bombard our brains over and over again with horrible, disempowering thoughts. And the list of disempowering self-talk goes on and on — and do you know where it comes from, Onward Nation? Exactly…it’s your Imposter Syndrome trying to rear its ugly head and cheat you out of your destiny. As you know, we talk about the Imposter Syndrome a lot here at Onward Nation…but…if you want to take a deep dive into the topic…I highly encourage you give Episode 233 a listen. You will find it helpful — I will take you on a deep dive into the Imposter Syndrome — and more specifically — how to defeat it. Here’s the good news…today’s lesson is going to serve as the ANTIDOTE to your Imposter Syndrome as it relates to your sales pipeline. Apply what we are about to cover — and you will remove all of the stress, pressure, and self-doubt you may be feeling about your sales pipeline. Because…here’s the thing…our Imposter Syndrome tends to rage inside of us when we thinking of sales prospecting because we have not taken the time to define our Client Avatar — and then taking that deeper — by defining our Dream 50 Prospects — and then taking that deeper — by putting a system in place that shares the love with your Dream 50 so they know they how special they are to you. And when you don’t define your avatar — and when you don’t define your Dream 50 — and when you don’t create a system for loving on your Dream 50 — what happens? You lose major amounts of opportunity, Onward Nation. How do I know? 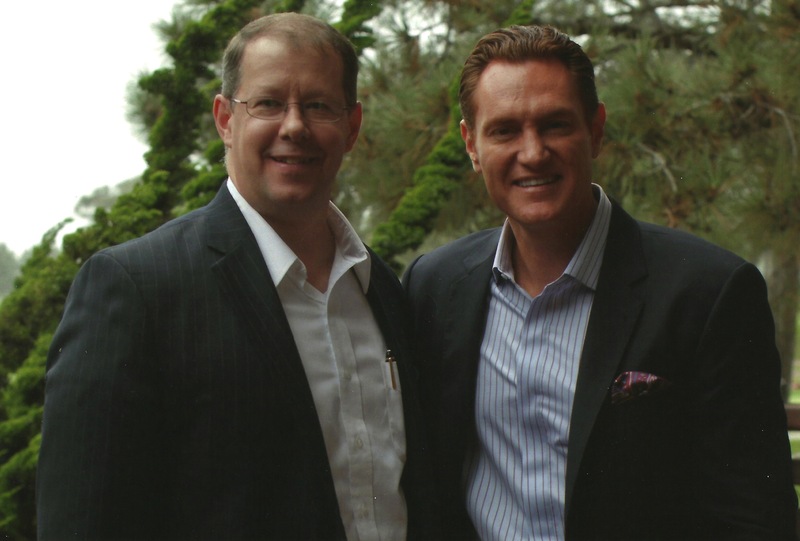 Because this has happened in my company, Predictive ROI — because I refused to listen to lessons that Darren Hardy, one of my most influential mentors was stressing upon me during all of our phone calls and in-person meetings. 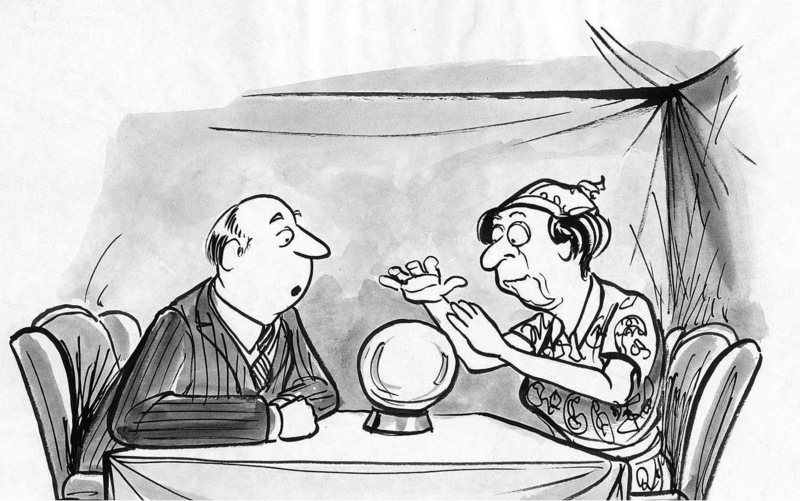 But I ignored his recommendations…and it cost Predictive ROI $2 million dollars. I first introduced you to that epic failure in Episode 208. And losing $2 million in revenue opportunity is certainly painful — but — what was the most devastating about that lesson — was that we also lost $200,000 in cash during the process. Ugh. Still makes me a little queasy thinking about it. But more specifically — what caused the failure? Because I — not my team — but me, Onward Nation — did not invest the time to specifically and precisely define our Dream 50 attendees — the people who we most wanted to attend our LIVE event — and — then connect this pool of VIPs back to the “Avatar” of our ideal attendee — and then craft a value proposition that our Avatar would actually care enough about to attend our Predictive ROI LIVE event. And I did none of these. But it isn’t because Darren didn’t tell me to get this done — or urge me to — or even mentor me through the process — oh no — I had access to all of the help and support I could have wanted or needed and yet I still didn’t take action. I was fearful in so many ways — and it caused me to be paralyzed — and I was also a bit arrogant thinking that prospective attendees would simply figure out our value proposition on their own. Dumb. Like $2 million dumb, Onward Nation. So my hope is that you will learn from my mistakes — and — how fixed them — so you don’t have to learn the same painful lessons yourself. Let’s begin by focusing on where I started down the wrong path. I was unwilling shut down my ego and take the necessary time to answer three very simple questions — and had I answered them — would have delivered a completely different result outcome. I am going to give you the three questions because your answers will guide your overall communication strategy with customers and prospects. Even deeper…your answers will establish your expertise and why your message is relevant and deserves to be heard. But — it is critically important that your answers to the questions come from the perspective of your client — not from your ego — because those are vastly different perspectives. I am also going to share with you a second set of 10 questions designed to help ensure you are speaking to the RIGHT or most ideal clients and prospects. The 10 questions are the same 10 questions my team and I use at Predictive ROI to help our clients define their customer Avatar…sometimes business owners call an Avatar a persona — the term doesn’t matter — don’t get hooked on that — but — do get hooked on getting it done. So focus your attention toward questions you can ask yourself and your team to properly define the “WHO” as it relates to your ideal customer and prospects. So, I will share the full 13 questions with you. Had I taken the time to answer these questions — in precise detail — we likely would not have failed with our LIVE event — because — we would have either had a much more precisely defined value proposition — or — we would have discovered that at that point in time of our business — the scale of the event we were planning was way too early — we were swinging for the fences when we should have been paying closer attention to getting on base and just scoring some runs. So let’s review the three questions to guide your overall communication strategy with customers and prospects. First off…you need to remember that your customers will not remember what you said…but how what you said made them FEEL. And in order for them to feel something as a result of what you said…you need to have established the credibility in their mind’s eye so you have enough permission to say what needs to be said. Throughout the entire conversation — heck — you may even be doing it now as you hear my voice — your audience will be asking themselves three simple questions…and you must answer them…or the conversation is over. Question 2: Why do I care? Question 3: What’s in it for me? Now, you may not like the questions — they may be too direct for your particular style — but they are, in reality, the essence of what your customers are asking themselves as they listen to you. Let’s take a quick look at the questions. The first two questions of “Who are you?” and “Why should I care?” are — at the core — credibility indicator questions. When beginning a conversation — especially with someone new — you need to answer these two questions in a short and succinct manner. No one likes the “Me Monster” at a party who goes on and on with the self aggrandizing. So don’t do that. But a short sentence — or at the most — two sentences that answer these questions from the perspective of your customer is perfect. And the third question of “What’s in it for me?” is the ultimate value proposition question. If you listen my interview with Jessica Rhodes for her show, Rhodes to Success, you will hear me admit that one of the reasons our Predictive ROI LIVE event failed was because I — personally — yes, me — could never explain, or define, why a business owner would want to invest $7,000 and head to the Ritz Carlton in Orlando, Florida to learn about digital marketing strategies. And I could never set my ego aside — I never listened to Darren — and I never answered his very simple question. Next…once you have your core message defined — it is time to crystallize with whom you are going to share your message — and — how to create emotional impact with your audience at the same time. To help with this piece…I am going to show you how to fix one of the most expensive mistakes any business can easily make within their marketing strategy. I am excited to share this strategy and recipe with you. We are going to dig deep into why most companies fail at delivering high-quality communications to their customers. It is because they have not taken the time to understand their customers from an emotional perspective. In fact, I will show how a single WORD can completely change a situation – and I am going to give you a specific step-by-step strategy or recipe for understanding exactly how to connect with your customers on a different and more valuable level than what you may be doing currently. My hope for you is that you will take this recipe – apply it – and see predictable, measurable, and repeatable increases in sales inside your business as a result. Some words of caution, Onward Nation. You may nod your head in agreement when you hear this recipe – you may even take some notes – or even share this episode with a colleague. Onward Nation – please don’t let this be you! Don’t fall into the trap of procrastination. My hope for you is that you will take the notes – have the discussions with your team – and then put the steps into action – swiftly. That is how excellence is reached. This strategy has the potential of being a game-changer for you. Okay, let’s dig in. First…I will ask you another question. In fact – it has everything to do with just one, four-letter word. So in order for you to fix this Money Draining Mistake you need to understand how to make an emotional and empathetic connection with your prospects and customers. Now, we like to think we are such rational creatures and we only make decisions based on objective data and thoughtful analysis. But the reality is that all of our decisions – yes, 100% of them – are made for purely emotional reasons. 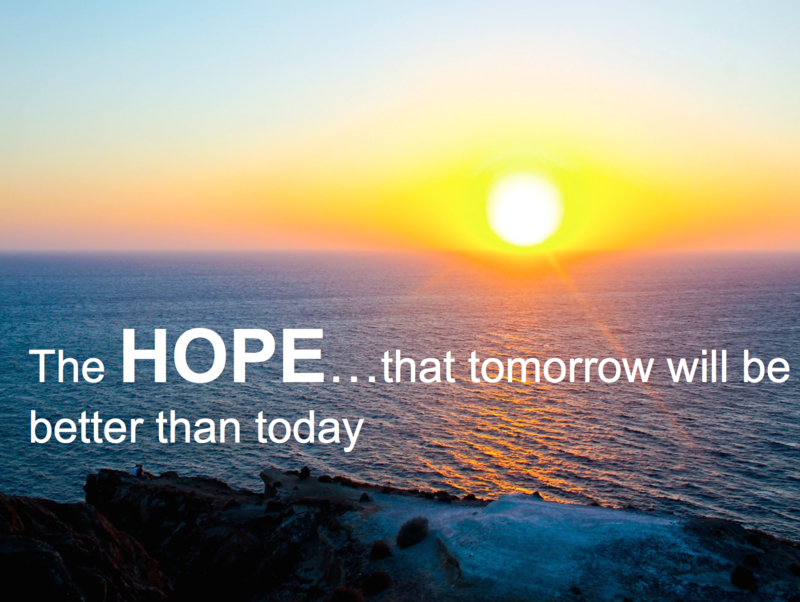 And because this percentage is so high — you and your business must become HOPE DEALERS to your clients. You can do that by connecting on an emotional and empathetic level with your “customer avatar”. No surface answers — challenge yourself — and your team to dig deep and push to find specific examples of situations that either reinforce or contradict what is currently believed to be true. So now I am going to share 10 specific questions you and your team need to ask each other and then go out and ask your prospects and customers the same questions. Question 5: what are their values — and are their values the same as ours? Question 7: what frustrates them about our business or others like us in the industry? Your avatar is one person. Not an email list of 25,000 people. One person and you give him or her a name, a personality, you hang a photo of her on your conference room wall, and every time you write an email campaign, shoot a video, etc. you speak directly to your avatar. Let me take you inside Predictive ROI to illustrate this point. Our client avatars are “Harry” and “Sally” (we chose those names because “When Harry Met Sally” is one of my favorite movies of all time). I love it when it happens because I know we just made a powerful, emotional connection. I just wish we would have completed the same Avatar definition exercise BEFORE planning and promoting Predictive ROI LIVE. Our probability of success would have likely increased by a factor of 10. You can too if you answer the ten avatar definition questions on behalf of your customer and then quickly apply what you learned. So let’s say — you have invested the time and energy to define you Avatar and are ready to connect at that emotional level to become a HOPE dealer on behalf of your clients and prospects. Now what? The final chapter of this lesson is another principle Darren Hardy taught me — he called it “Romancing Your Dream 50”. He described your Dream 50 prospects as the people who fit two criteria: 1) they were aligned with your avatar meaning you could connect with them on an emotional level because you really understand them and 2) they are the easiest to reach, they are the fastest to make a decision, they are the most profitable, and it would be your absolute dream to called these 50 clients…YOUR clients. The people who make it to your Dream 50 list likely represent your BEST BUYER profile. So how will you romance them…how will you show them how much they mean to you…and how much value can you deliver to them — even before you are working with — or for — them. You could follow the brilliant marketing strategy that our Onward Nation guest, Jay Baer shared during Episode 305. Jay shared with us, “Your secret sauce is not a secret. Instead, take everything you know and give it away for free — one bite at a time.” He calls these “Info Snacks” that lead up to a full meal and Jay breaks the strategy down into bite sized chunks in his New York Times bestselling book, YouTility. Interview each of your Dream 50 on your top-ranked podcast — and then — quote and share their wisdom all over social media and with your email list — your broader email list will appreciate the additional insights you shared and your guest will think it is awesome how you spread the word. Great things will happen! Wait! Don’t have a podcast? No problem…use the same strategy and leverage the heck out of your blog — just like Stacey Alcorn does. Stacey was our brilliant guest on Onward Nation Episode 3. Create an industry research report and ask for their participation in exchange for giving them a copy when the project is complete. Invite members of your Dream 50 to co-teach a webinar with you — adds value to your list — and — gives you an opportunity to connect in a completely different way with your top prospects. Maybe you’re a power broker — like you effortlessly make connections and you have one of those epic rolodexes. Awesome…then solve the problems of your Dream 50 by introducing them to people who could help — someone they would love to do business with. Do this — and you will have just added tremendous value to your prospect — and they may be very open to doing business with you because of your focus make connections for your Dream 50 with other people they would love to do business with you. 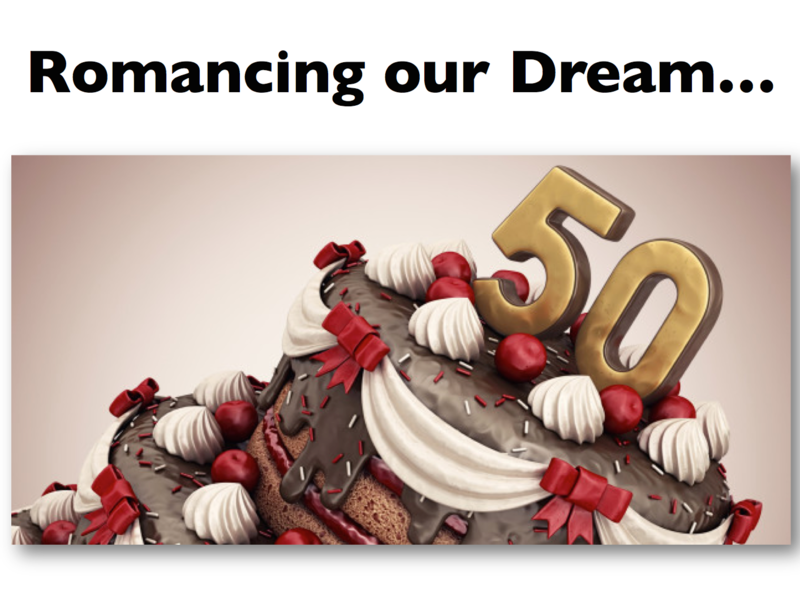 Those are just 7 quick strategies for how you can Romance Your Dream 50. I wish you the best in applying them — defeating the Imposter Syndrome at every turn — and that this solocast has become the antidote for doing just that — and as a result — you are ready to take the definition of your avatar deeper than ever before. Onward with gusto, Onward Nation. And please continue to let me know what you think of Onward Nation…good or bad…I always want your feedback. Hit me up on Twitter or LinkedIn — or stop by our Predictive ROI Facebook page — and let us know what you think of the show — thumbs up or thumbs down. Either way — we want to know. Your feedback will help us get better. And remember…you can always email me at stephen@onwardnation.com and I reply to every single message. We will be back tomorrow with an incredible interview with Ross Bernstein — you will not want to miss Ross’s philosophy of “the currency of giving” and how this permeates every aspect of his business strategy. Ross is off-the-charts amazing, Onward Nation!